Joyce Wagner, age 82, formerly of Clinton, MN, passed away on February 7, 2019, at Ortonville Area Health Services Hospital in Ortonville, MN. Memorial services will be held on Monday, February 25, 2019, at 11:00 a.m. at Elim Lutheran Church in Clinton, MN. Visitation will be held one hour prior to services. Pastor Richard Larson will officiate. A private inurnment will take place at a later date. Joyce Darlene (Carlson) Wagner was born on October 6, 1936, in Clinton, MN, to Walter and Frieda (Ewert) Carlson. She attended country school and graduated from Clinton High School in 1954. She dated Wayne Wagner, and the two were married on August 25, 1956, after Wayne returned from the Navy. The couple lived in Madison, MN, where Joyce was a stay-at-home mom and raised five children. In 1976, they moved to Ashby, MN, to a home on Pelican Lake, where both she and Wayne enjoyed fishing. They then moved to Sioux Falls, SD, in 1979, where they purchased Sioux Well Drilling. She worked side by side with Wayne in the rain, wind, and snow. Later, in 2001, Joyce and Wayne moved back to Clinton, MN, and remained there until her move into the Fairway View Care Center. Joyce was an active member in the church and VFW Auxiliary, where she served as President. She enjoyed bowling, ceramics, and being a den mother. 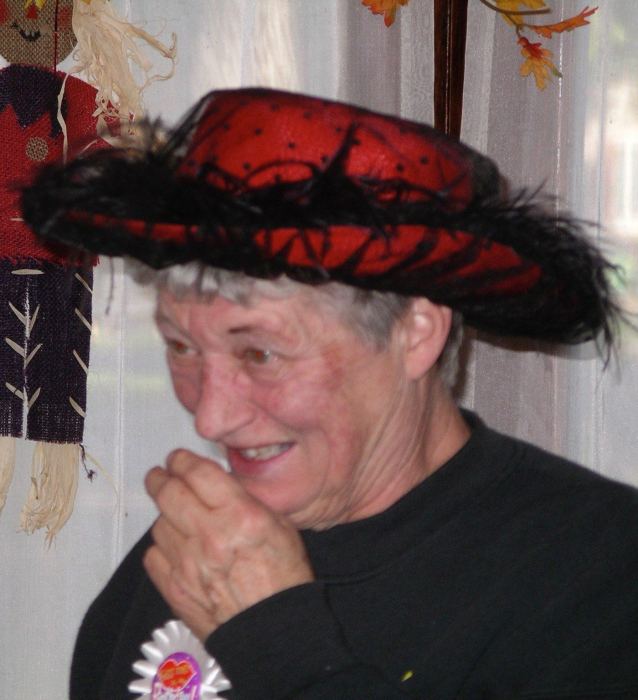 Joyce liked being a red hatter, and she was a strong member and supporter of the restoration of the Clinton Depot. She also loved gardening, canning, cooking, baking, and decorating both indoors and outdoors, especially “the berm.” Joyce was an avid reader and took pride in her family. She enjoyed taking her family camping, dancing, and was known for doing the “Twist.” Some of her fondest memories were at the Penguin Bar. Left to cherish her memory are her children: Gail (Ron) Schlimme of Clinton, MN; Darla (Roy) Hope of North Oaks, MN; Bradley Wagner of Brandon, SD; Brenda (Phil) Manson of White Bear Lake, MN; and Craig (Doni) Wagner of Hartford, SD; 15 grandchildren: Chantel, Derrick, Chaz, Kiana, Ty, Garth, Saige, Aaron, Shawna, Edward, Jarad, Matthew, Laura, Dustin, and Kelsey; 16 great-grandchildren; sister, Audrey (Jim) Weinman; brother, Dennis (Carol) Carlson; and many nieces, nephews, family, and friends. Preceding her in death are her husband, Wayne; infant daughter; and her parents.